Darren Speegle’s The Third Twin is an exquisitely done sensory delight. A nightmarish tale with waking dreams within. Speegle’s descriptive prose gets under your skin and you feel as though you are experiencing the tale as it unfolds. Throughout time and cultures, multiple births have had mystical myths associated with them. Speegle takes this one step further and weaves a story from beyond the realm of imagination. Barry, a travel magazine writer, and Felicia are the parents of twins, after tragically losing one daughter they find themselves fighting for the life and sanity of their surviving teenage daughter Kristen. Kristen is pregnant without knowledge of how it happened. She begins to have explicit nightmares giving peeks into what occurred but never actually explaining the why and how. She begins seeing her deceased twin who is but is not her twin in her dreams. All of this comes to a head after a trip to Brazil for the Spider Festival with her father where she is attacked by a mysterious figure with an elephant head mask from her past. Barry too has been seeing things and decides to return to Brazil to seek answers as to why Kristen was attacked and how her pregnancy ties in with these dreams of his. In Brazil, he tracks down the sister of the attacker and more questions arise rather than answers. In the meantime, the unspeakable has happened back home in Alaska with Kristen’s self-inflicted abortion. With Kristen now fighting for her sanity and Felicia her hers, Barry is more determined than ever to get to the root of these occurrences. Barry’s quest for answers takes him to Germany where he feels the ties of his Brazilian trip stem from. But, what is found there is not what he was hoping for. And, the answers to his questions are more than he can fathom. This is truly a dark chilling tale, one that will keep you guessing until the end. 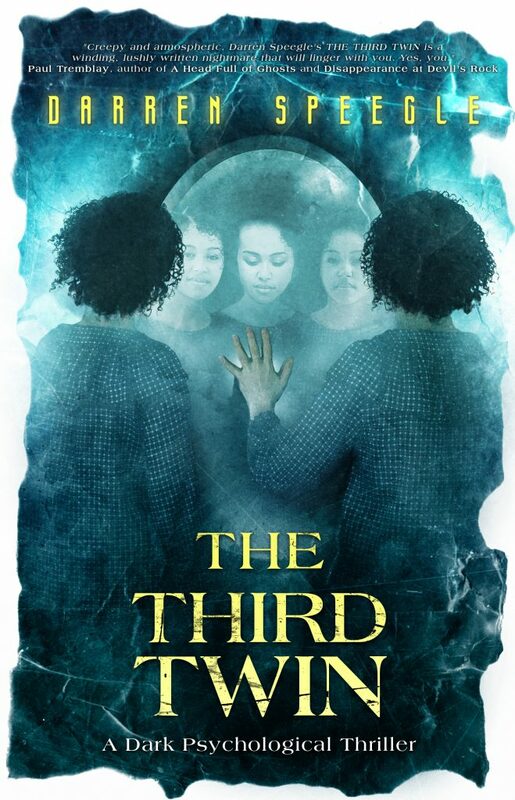 I highly recommend checking The Third Twin out if you are into psychological thrillers, it won’t disappoint! Oh, and of course I must give a nod to Ben Baldwin for another outstanding cover. You can pick up a copy HERE!